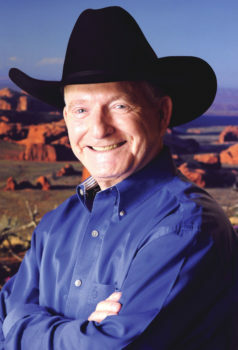 Arizona’s Official State Historian, Marshall Trimble is appearing at the SunBird Community Ballroom on Thursday, January 26 at 7:00 p.m. Tickets may be purchased at SunBird’s HOA Office for $10. The SunBird Garden Club is sponsoring this event which features Marshall Trimble, a multi-talented historian, who has been called the “Will Rogers of Arizona.” He can deliver anything from a serious history lecture at a Jr. College to a stage concert of Western folk music and stories with his guitar. This evening will entertain the whole family so SunBird Garden Club is inviting anyone who may be interested to purchase a ticket and attend this event. An educator, lecturer, folk singer and stage performer, this talented gentleman has written over 20 books on Arizona and the West. After his show, books will be available for purchase and signing my Marshall Trimble. Remember this show is open to anyone in the south Chandler area, so do not hesitate to bring cash or check ($10 per ticket) to the SunBird HOA office Monday through Friday between 8:00 a.m.-4:00 p.m. Because seating is limited, tickets may or may not be available at the door on the night of the show. On January 26, the doors will open at 6:00 p.m. for open seating. There will be no reserved seats and groups will be discouraged from saving blocks of seats. The performance will start at 7:00 p.m.